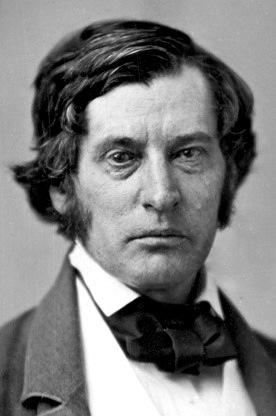 Dispensing with the Apologies Tyrannical and Imbecile, Charles Sumner moved on to the Apology Absurd. Absurdity meant claiming that proslavery filibusters who seized control of the Kansas territorial government by force acted in self-defense. More than usual, Sumner’s contempt for the argument shows through the refined nineteenth century prose. I can only imagine how it came across when performed before the Senate. That left only one apology to go: Infamous. false testimony against the Emigrant Aid Company, and assumptions of duty more false than the testimony. Defying Truth and mocking Decency, this Apology excels all others in futility and audacity, while, from its utter hollowness, it proves the utter impotence of the conspirators to defend their Crime. If “emigrants to another world” could have their places readied by a corporation, then why not emigrants to Kansas? People had come together in common purpose since Antiquity, when Greeks colonized the Mediterranean and then the Romans followed. Every nation of the white world did such things not merely through private office, but under the aegis of the state. Furthermore, Emigrant Aid Companies settled Plymouth, Virginia, and Georgia. Did the proslavery Senators have something against America? Sumner conceded that people moving west within the United States usually didn’t have any organization backing them. You got together your money and moved, on your own or with the help of friends and family. “Tens of thousands” went west that way, but they ventured forth “with little knowledge, and without guide or counsel.” To remedy that, and because the fate of freedom hung in the balance, Massachusetts opted for an improvement and chartered the company. Sumner told a slanted version of events. He denied military organization in Kansas by antislavery forces in the Apology Absurd. Now he doubled down and made the Emigrant Aid Company into a pacific institution of philanthropy. He may have had that technically right, in that the Company itself doesn’t seem to have shipped guns to the territory in its own right, but its agents on their own did that work in parallel and with knowledge of the bosses back home. That notion, Sumner called “absolutely false” and said he had permission from the Company to say so on their behalf. At its most extreme, the Aid Company simply planted capital in Kansas, largely in the form of sawmills, and encouraged men to go chase after it. Eli Thayer’s outfit had more in common with a Bible Society than a paramilitary, to hear Sumner tell it. Between the Howard Committee and the Buford Expedition, plenty of people have lately come to Kansas Territory. Before them, Missourians went across the border. Many meant to stay, but many also meant to control Kansas’ elections or murder abolitionists and make it home for breakfast. In all this, I have largely left out the people who offered the proslavery forces their casus belli: the Emigrant Aid Company. To a great degree that comes down to the historians I have relied upon. Concerned with matters largely internal to the Kansas-Missouri border, it matters less to their narratives how antislavery Americans arrived in the territory than what they did once present. A few paragraphs suffice. But a kind friend has supplied me with Horace Andrews’ Kansas Crusade: Eli Thayer and the New England Emigrant Aid Company, the hot release of December, 1962. Andrews points out that as the Kansas-Nebraska Act worked its way through Congress, a sense of inevitability set over certain quarters of the North. Slavery got what slavery wanted and they appeared impotent against the new advance. The Democracy had its house in order, a few dissidents aside, and would continue to do as it liked as the nation’s dominant party. Who could stop it? Eli Thayer of Worchester, Massachusetts though himself the man for the job. He ran a school for women, the Oread Collegiate Institute, for the four years prior to considerable success. In that time he supported the Free Soil party to the end and took a term in the Massachusetts legislature. All this made him prominent enough that the state legislature would grant Thayer his corporate charter, creating the Massachusetts Emigrant Aid Company. Thayer advocated what he called “Business antislavery,” to separate it from the tried-and-failed methods of ordinary politics and moral suasion. If Stephen Douglas insisted that popular sovereignty would settle Kansas’ future, then Eli Thayer would take him up on that. Thayer’s business antislavery gained a significant convert in the person of Edward Everett Hale, a Unitarian minister and advocate for settling antislavery men in Texas to turn the state around. Hale had never come up with a concrete plan for doing that, but Thayer thought he had one. Thayer expected to sell stock in his company, use the money to subsidize emigration, and make a profit in the process. Andrews doesn’t go into just how, but presumably Thayer imagined that the company would invest in or found town companies just like many similar projects. There came the snag. Thayer and his associates could drum up plenty of interest but not much money. The organizing committee itself refused to buy the stock they proposed to sell. Nobody seems to have believed that the five million dollar capitalization authorized would appear and many looked askance at the idea Thayer had to take the crusade into the slave states after they saved Kansas for freedom. At the instigation of Amos Lawrence, from whom Lawrence, Kansas, got its name, plans changed. Lawrence preferred a charitable operation with no expectation of future profit. If the stock wouldn’t generate dividends anyway, why pretend otherwise? And what if it did? Didn’t that suggest a mercenary outlook on the part of good-hearted antislavery men bent on saving the Union? The Massachusetts Emigrant Aid Company thus gave way to the New England Emigrant Aid Company on July 24, 1855, complete with a well-off board of Massachusetts luminaries for directors. Thayer got the news on his way home from a tour in New York where he raised $100,000. NEEAC, now institutionally controlled by conservative Whigs rather than New England radicals, had the form of a corporation but functioned like a charity. It took in gifts, rather than investments. Thayer himself took a demotion from leading light to a promotional speaker. Majority Report: parts 1, 2, 3, 4, 5; Reports with the Kansas petition here. Felix Zollicoffer had about enough of all this talk in the majority report about the precedent for admitting Kansas’ wildcat, free state government. None of them held a bit of water for him, whatever his fellows on the Committee on Territories thought. On the contrary, he found controlling precedents the other way. The majority, he affirmed, did not simply find themselves on unexplored constitutional ground. They found themselves on explored ground decided against them. Kansans could claim that they had Missourian marauders at the door all the liked. White Tennesseans had actual Indians coming after them. If the United States would protect white men from anything, it would protect them from Indians. They could even bring hostility on themselves and expect protection from the federal government. If anybody had a legitimate claim to statehood on those grounds, the people of Franklin did. They got none, so why should Kansas get better treatment when beset only by proslavery whites? Why shouldn’t they enjoy the same fate as Franklin did, “swept from existence”? the Dorr insurrection, as it was familiarly called, sought to set up, without the sanction of law, a State government in defiance of the existing State government of Rhode Island. But that movement was also promptly put down, and was from the beginning firmly discountenanced by the general government. active and noisy movements were set on foot to throw into Kansas a mass of voters from distant States for the avowed purpose of controlling its elections, and making it a free State. For this purpose, Emigrant Aid Societies were organized in the New England States; millions of money were subscribed; and with a vociferous agitation against slavery, large numbers of persons were procured to enter the Territory. Zollicoffer had the facts on his side again, but as he did before in looking at precedents for statehood by population, he dodged the actual issue. Popular sovereignty meant that the people of Kansas got to vote slavery in or out. Those people constituted the actual settlers there, people who had come from afar to stay. While some who came on emigrant aid company subsidy did go home on finding Kansas not to their liking or voted after only a few days in the territory, it appears most went with the full intention of staying. The Border Ruffians could claim no such distinction. Some of them surely meant to come to Kansas and others did come and remain, but the vast majority clearly came over to vote with no intention of staking claims. Since they lived next door, that had that luxury. People from New England hardly came to Kansas for a day trip in the 1850s. call[ed] on the citizens, both of adjoining and of distant States, to abstain from unauthorized intermeddling in the local concerns of the Territory, admonishing them that its organic law is to be executed with impartial justice, that all individual acts of illegal interference will incur condign punishment, and that any endeavor to intervene by organized force will be firmly withstood. Most probably, Pierce would still do nothing against Missourians. Buford’s party might warrant different treatment, particularly with how he had spread it all over the papers and talked openly about how they would go to fight. Should the proslavery president and the proslavery filibuster come into conflict, that might end awkwardly for everyone. Thus Buford sent out the word in March that his men would not go to Kansas armed. That settled, they got going. At Buford’s hometown, Eufaula, a hundred men departed on March 31. Buford himself led them out. They stopped at Columbus, Georgia, and collected almost as many again. Some opted to pay their own way and set off straight for Kansas via Nashville, but Buford’s party made it to Montgomery as planned, arriving on April 4. There were now collected here about three hundred and fifty men, of whom one hundred were from South Carolina, fifty were Georgians, one was from Illinois, one from Boston, and the rest were Alabamians. The Alabama Journal of this date characterizes the emigrants collected in Montgomery as a superior class of young men, quiet, gentlemanly, temperate. Later, some members of the party seem not to have deserved this praise. Her chivalrous sons must come to the rescue, to uphold and maintain their constitutional rights and protect their institutions. We left Jefferson Buford at the Alabama legislature, where he made his pitch for Kansas emigration. A visiting Massachusetts man got word of that and went straight to Ely Thayer when he got home with the news. Buford aimed to field a proslavery regiment in Kansas, all armed and ready to fight. The Emigrant Aid Society, while it had trafficked in guns at least informally, dealt more with the money end of things. Thayer and the good, antislavery people of Worcester got together and made a start on remedying that deficit to the tune of 165 guns and fifteen thousand dollars for further emigration. That makes for a cute detail, but it speaks to an important reality. Nineteenth century America permitted political action by women in only tightly constrained venues. As the mothers of future citizens, they had a legitimate place in seeking to improve the moral condition of the country. They could do that through the action of various benevolent societies. We remember mostly the suffrage, temperance, and antislavery movements but nineteenth century women also practiced politics through church groups and exerting informal influence on their male relations. The women of South Carolina might have made a sentimental gesture in selling their jewelry, and most men probably read it that way, but they also took a political stand. They too lived in the Palmetto State and understood themselves as a slaveholding people, in solidarity with the slaveholders of Missouri and imperiled by antislavery activism in all its forms. Should things worked out as they expected and antislavery agitation inspired slaves to revolt, the murderous hordes would come for the Mary Chesnuts as much as the James Chesnuts, the Floride Calhouns along with the John C. Calhouns. We know that no massacres came, but we have the benefit of hindsight they lacked. So far as they knew, the slaves told the truth when the menfolk tortured plans to kill all the whites out of them. Denmark Vesey, at least in their minds, really wanted to go on a killing spree in Charleston before sailing off to Haiti. That whites, then and now, proved far more prone to such things didn’t enter into it. Jefferson Buford had requested donations to help fund his plan to colonize proslavery men in Kansas. The forty slaves he sold, which Fleming reports went for seven hundred dollars each, would only go so far. He really wanted money from Alabama, but he would take it from private hands and named William Lowndes Yancey the man to collect the cash. Over the course of February, he and others undertook a speaking tour to promote the effort. They cast their net, as one might expect from where Buford named his rendezvous points, across South Carolina, Georgia, and Alabama. Buford’s speaking tour took him to Montgomery, where he made his case to the Alabama legislature in person. A representative from Wilcox County introduced a bill to give Buford $25,000, but the legislature in general proved less keen on the business. The bill died in committee. 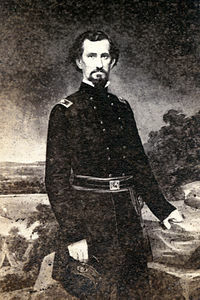 A Massachusetts man, William T. Merrifield of Worcester, had come to Montgomery just the day before. According to Eli Thayer’s A History of the Kansas Crusade, he got his news directly from legislators who saw the speech. Mr. Merrifield came home immediately, fully impressed with the belief that we ought to protect our men from this section and send men enough there to counteract the designs of the pro-slavery raiders. He was thoroughly convinced, from what he had seen, that we could and ought to do it. Having in his mind the suggestion of steps to be taken, the next morning, after he arrived home, the first man he met on the street was Mr. Eli Thayer. That sounds a little too neat, but Thayer also lived in Worcester and would have had frequent cause to come to the post office where the meeting took place. Merrifield told Thayer his idea and Thayer, already in the business of sending men and probably off-the-books guns to Kansas, decided to get right on it. Thayer went off to Boston at once, where he learned that he would have the cash he needed. Thayer himself pledged ten rifles, $25 each, provided that Worcester could get together the funds for another seventy-five within the week. They did better, outfitting 165 men with guns and ammunition. Two further meetings brought the cash total to north of fifteen thousand. Before delving back into the maltreatment of William C. Clark, I wrote about the Kansas Pioneer Association of Jackson County, Missouri. They aimed to do what the Emigrant Aid Societies had done for more than a year: subsidize emigration of politically-reliable white men to Kansas. There they would vote for slavery, vs. the Emigrant Aid Societies’ freedom, and cement the institution’s grip on the nation’s most troubled territory. Missourians had heretofore considered such behavior cheating, but firm principle yielded to clear advantage as often to them as to us. Nor did they come alone to the prosalvery side of the Emigrant Aid Game, though their side did come to the business tardily. Walter Lynwood Fleming explains why in The Buford Expedition to Kansas (PDF). My copy is from Transactions of the Alabama Historical Society, Volume IV (huge PDF) on the grounds that I found it first. Fleming puts proslavery delay down to how “it was doubtful if the anti-slavery party would ever be strong enough to control the elections” but Yankee Emigrant Aid operations got to work at the job. In the movement of importing men the North had already two years the start, the South being confident that no exertion would be necessary in order to secure Kansas as a slave State. So there was very little pro-slavery emigration into this debatable land before late in 1856 except from the neighboring State of Missouri. Pro-slavery emigrant aid societies were now organized in Missouri, and soon other similar societies were formed in the remaining Southern States. Missouri appealed to her sister States in the South to come to her assistance. The time has come when she can no longer stand up single-handed, the lone champion of the South, against the myrmidons of the North. It requires no foresight to perceive that if the ‘higher law’ men succeed in this crusade, it will be but the beginning of a war upon the institutions of the South, which will continue until slavery shall cease to exist in any of the States, or the Union is dissolved. bolt, determined action. Words will no longer do any good; we must have men in Kansas, and that by tens of thousands. A few will not answer. If we should need ten thousand men and lack one of that number, all will count nothing. Let all then who can come do so at once. Those who cannot come must give money to help others to come. now thoroughly canvassed by agents of the pro-slavery emigrant aid societies. If the people of Alabama will raise $100,000, I will land in Kansas 500 settlers. I have over one hundred volunteers now. The Missourians decided, belatedly, that they had best get into the Emigrant Aid Game. For more than a year, the Massachusetts, then New England, and other societies in the North had paid the travel costs of antislavery settlers bound for Kansas. They even ran a hotel or two to put a roof over the heads of new arrivals, albeit one with more sod than shingles. For the previous history of territorial Kansas, the Missourians took all that as cheating the system. Now they would cheat too. Moreover, the people of Jackson County specifically empowered their Kansas Pioneer Association to coordinate with other such groups for a wide-open slave power conspiracy. The same meeting that organized the association also called for a convention of similar associations from every county in Missouri to put their plan into operation. 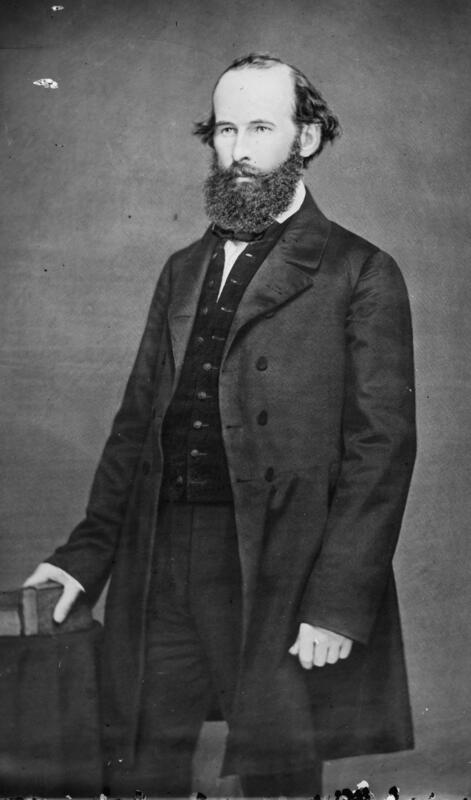 aid in the subjugation of the ‘d—-d Yankees.’ His dispatches were mistaken in the East for those of the Secretary of our Territory, Daniel Woodson. Governor Shannon has ordered out the militia against Lawrence. They are now in open rebellion against the laws. Jones is in danger. (Private.) DEAR GENERAL: The Governor has called out the militia, and you will hereby organize your division, and proceed forthwith to Lecompton. As the Governor has no power, you may call out the Platte Rifle Company. They are always ready to help us. Whatever you do, do not implicate the Governor. While broadly similar to the letter Brown refers to, this Woodson makes no reference to Yankees in any state of grace. Nor does it seem that he sent multiple letters, but rather one specific missive to a militia officer advising him to call out the Platte County men. I don’t think Robinson above slanting things in the slightest, but this doesn’t quite like quite the letter that Brown meant. There is no doubt in regard to having a fight, and we all know that a great many have complained because they were disappointed heretofore in regard to a fight. Say to them now is the time to show game, and if we are defeated this time, the Territory is lost to the South. That Missourians came into Kansas, first temporarily and now perhaps to stay, in order to thwart antislavery Kansans hardly made for breaking news. But by linking Chiles’ and the others’ previous hooliganism to their present enterprise in Emigrant Aid, Brown underlined that they served the same ends. And just what kind of Missourian would come over in such an operation? Would they come as ordinary settlers and then turn against proslavery impositions as others had? Maybe, but what if Chiles’ send his buddies from the Wakarusa War? They came set to kill abolitionists and hardly made for the best prospects at a change of heart. Which leaves the matter of how Chiles’ maltreated William C. Clark. More on that tomorrow. After a good year of outrage at how Emigrant Aid Societies in northern states had paid the way of antislavery settlers to come to Kansas, Missourians had had enough. If Yankees could cheat by subsidizing migration of politically-reliable men, then so could they. At Jackson County court house, they formed the Kansas Pioneer Association and published their plan. Pauper mercenaries could come from near to Kansas territory just as they could from afar. The KPA’s founders knew they needed more than hopes, dreams, and occasional extralegal violence to make a go of this. Like a good company, they aimed to sell shares and use the proceeds to fund their emigrants. They would take any sum, but if one wanted a say in how the organization operated it would cost you $20. Operations would begin in earnest as soon as they had two thousand dollars lined up. That didn’t mean they would actually have that cash on hand, but rather they would elect officers and a board of directors who could go out and requisition the funds, up to 25% of what one pledged per quarter. further empower said Board to form a connection with other societies or organizations similar to this in their ends and aims, and blend all of the energies and means of this Society with those of such other societies or organizations, upon such terms as they may deem advisable. Here the Missourians put on paper what had clearly happened informally in the past. The network of Blue Lodges which had powered their state’s previous operations against Kansas seem to have worked on strictly personal connections and mutual understanding. The expenses of boarder ruffianism came out of the pockets of the filibusters themselves and from the large planters of the area on a case-by-case basis. Now they openly declared coordination, which must have come easier for an organization with clearly legal means and ends. Contrary to proslavery protestations, no precedent of law or custom forbade organizations underwriting westward migration. What Eli Thayer could do, they aimed to do better.